If you don’t mind a few spoilers (and odd textures), Citizen Star Teller (/u/t3ller) has been cranking out videos and images delving into details of everything we know about Star Citizen, from digging into the various official and unofficial releases. This week’s gold Citizen Star goes to the triumphant return of veteran fan videographer and youtuber FiendishFeather. He had quit the Star Citizen scene for a time but seems to have been lured back by the additional capability to make new videos provided by the leaked assets. That said, his amazing video contains no spoilers as it shows nothing we hadn’t seen before. Check out “Star Citizen: Danger Zone”! 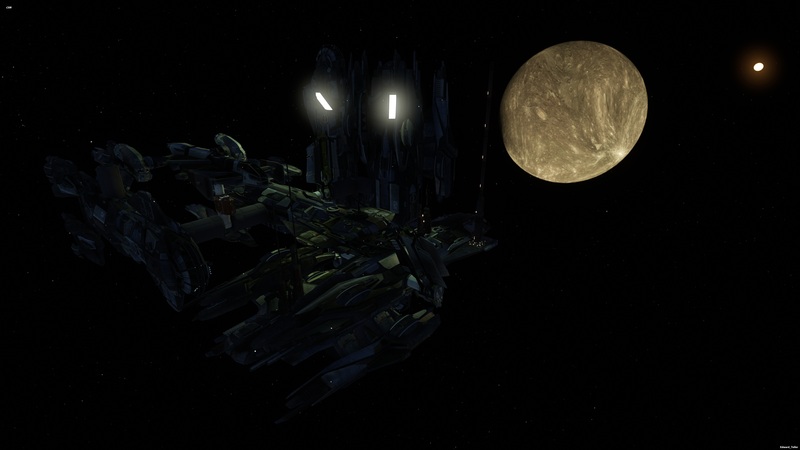 Congratulations to Citizen Star Micah Westfahl aka Kenwe_Daoke on the Star Citizen Forums for winning the Ship Shape contest. Excellent work! As we’ve been tracking, a lot of great entries. I can’t imagine it was an easy thing to pick. This Week’s CitizenStars: Dillek, Zulu and all the folks over in the Ship Size Comparison Ship Scale thread. Similar to last week’s CitizenStar Voon, they’ve been working tirelessly to keep up with all the released data on star citizen ship sizes.